Libraries, hospitals, schools, universities, nursing homes, firehouses and even the State House. This dog has traveled more than the average Mainer. Danielle Ireland McGuckin and Sidekick Morgan started the nonprofit organization Silent Sidekicks in 2012. 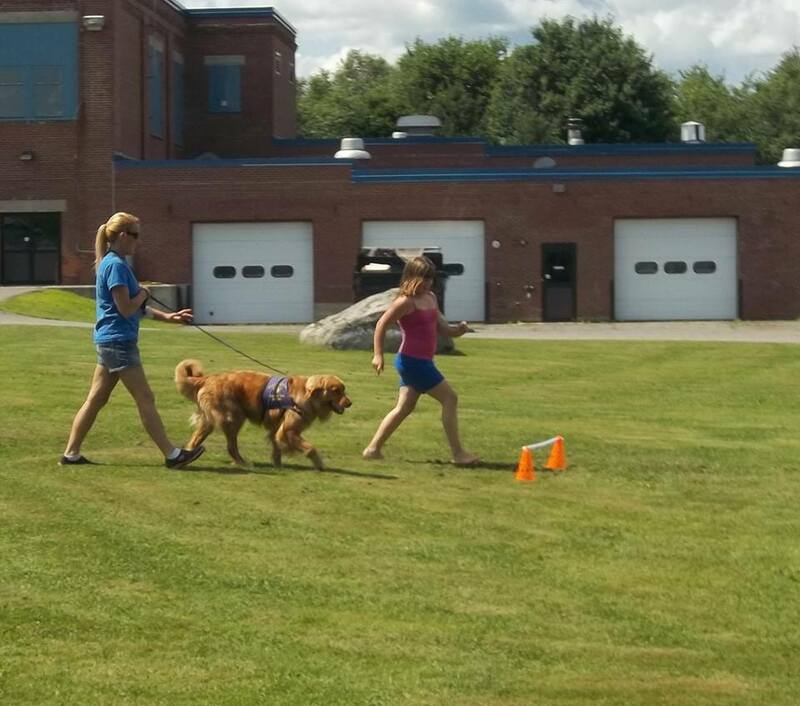 This organization brings animal-assisted therapy to the State of Maine. What does animal-assisted therapy look like? “Morgan would just be Morgan and interact with them. And it’s really amazing to see that just in a few split seconds, she can provide some sort of comfort to people in need,” said McGuckin. Silent Sidekicks started as an idea for McGuckin, who has a degree in animal science. “I wanted to find a different way of working with animals and helping people and being able to smile every day,” said McGuckin. This five-year-old program has now expanded to seventy volunteers from two-legged humans to four-legged furry friends like dogs, cats, horses, rats and guinea pigs. McGuckin and Morgan are the traveling pair visiting clients from Limestone to Portland. The pair also recruit other volunteers during their travels to continue their work in those areas. Volunteers have to go through a training and certification process in order to be a volunteer. The process varies for each animal, but the owners must have had the animal for at least a year to qualify. McGuckin said most owners’ therapy animals were adopted animals. Morgan and McGuckin traveled to Husson University to help students taking a test. “It’s really calming to see an animal that’s willing to just kind of hang out with you,” said one Husson student. McGuckin said many clients are reminded of their pets when they see Morgan. This was the case for Husson student Brendan McGowan. 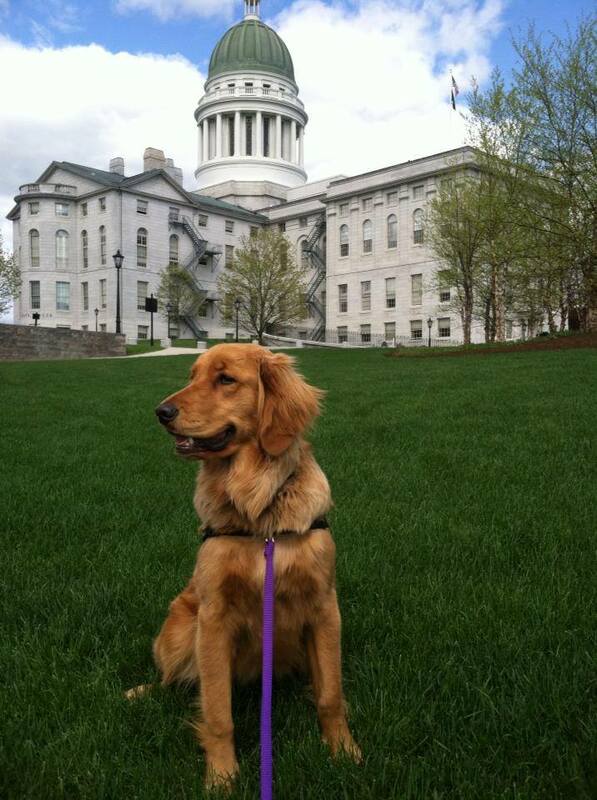 His dog, Murphy, is at his home in Massachusetts while McGowan is in college. “When you’re used to having one like that at home, and then you finally get to see one after a couple months, it definitely helps you destress a little bit,” said McGowan. 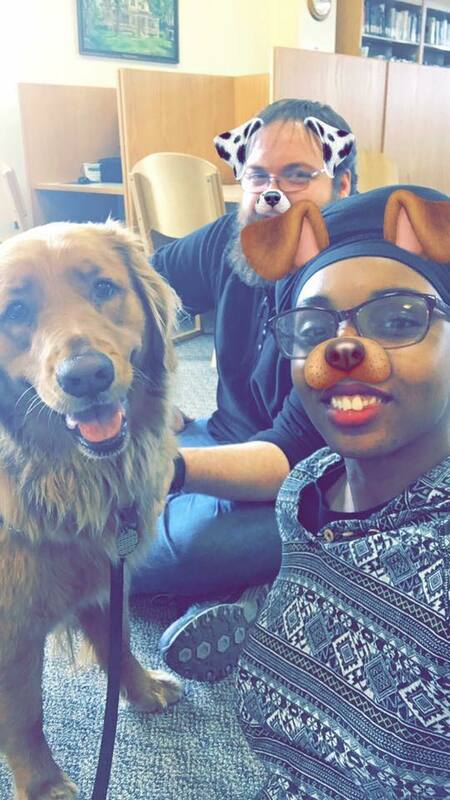 Other Silent Sidekicks volunteers have visited Husson University to help students during times of stress, such as finals. A Penn State study in 2014 found that anxiety is the leading mental health issue facing college students. In that study, more than half of the students visiting the campus listed anxiety as a concern. “Being able to have an outlet for your stress, and being able to calm down and relax before doing something major, is, that sounds awesome,” said another Husson student. McGuckin said many of the participants have been in the program for many years and have a strong connection with Morgan. “There’s been situations where, for example, we’ve been in a library, and I can’t hear it and I can’t smell it, but she knew one of the readers was out in the parking lot. She immediately stood up and just started staring at the door. Like, she knew that her buddy was coming in,” said McGuckin. The Paws and Effect Club helps teens who are interested in animal-assisted therapy. This program teachers teens to train the animals and “learn more about the human-animal bond,” according to the website. The Animal-Assisted Academic Support Program and Education Program both aid clients in academic climates. This aid can be stress relief or practice to improve communications skills, like the Reader of the Pack. “Morgan’s job is to make people smile. So even when you’re having a bad day, as soon as you go into a class room or into a nursing room, the people immediately begin to smile when they see her, so you can’t help but smile as well,” said McGuckin. The Program Fur, Fit, Fun, encourages children who may be reluctant to exercise. Many children may not feel comfortable in front of their friends to exercise in gym or recess, but when they are playing with an animal, it may not even feel like exercise. “We hope to encourage lifelong physical fitness in children who wouldn’t typically participate in traditional physical education programs or mai nstream sports,” the Silent Sidekicks’ website posted of the program. The Animal-Assisted Crisis Response Program helps comfort those affected by disasters and tragedies. The client can decide where they want to spend time with the animal, whether it’s at a home or funeral, then the animal provides support to those in need. The therapy animals must prepare for any stressful situation that may arise, specifically with children and hospitals. McGuckin has had Morgan since she was a puppy and trained her to be comfortable with pulling. McGuckin displayed this, playfully tugging at Morgan’s ears as Morgan smiled up at her. “I obviously don’t encourage young children to pull at her ears, but I taught her at a young age, and you can see the smile on her face, she sees it as a sign of affection,” said McGuckin. Morgan often visits hospitals and nursing homes where she is exposed to beeps, wheelchairs and various simulations that may stress dogs. McGuckin said Morgan is very good in those situations but will be protective of her owner. As McGuckin is watching out for Morgan, Morgan is watching out for McGuckin. 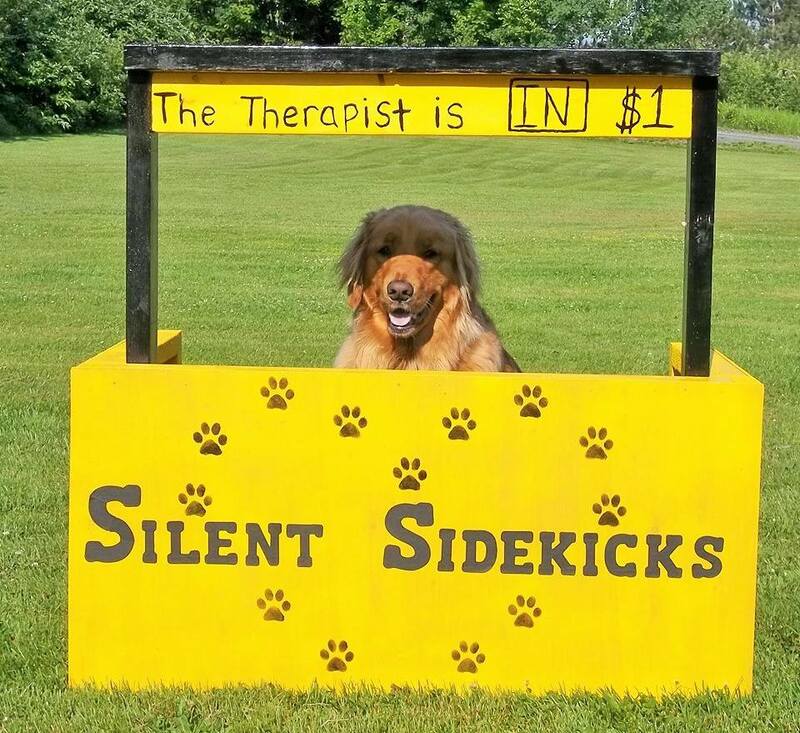 With mental health becoming a growing concern in the United States, McGuckin has created an organization operating on the simple idea that a smile and a hug from a furry friend can help anyone in need. This truth was evident as Morgan strolled through the isles in the classroom at Husson University. Students would occasionally stop taking their tests and smile at Morgan, pet her. Morgan, of course, would remind students she was still there by tapping them with her paw if they became too focused on their test. Photos curtesy of Silent Sidekicks.